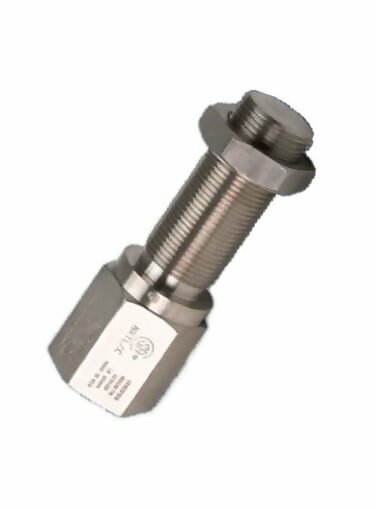 Specifically engineered for use in the oil and petrochemical industries, this stainless steel sensor is completely sealed and explosion-proof. Low impedance allows for transistor circuit input. When mated with conduit, it provides positive protection against damage due to water, high humidity, oil, dirt, or corrosive liquids. ATEX listed for II 2 GEExm II T3. Explosion proof for gas, vapor, and liquid. Output Voltage 60 VPP MIN. Leakage Resistance 100 MEGAOHMS MIN.